VMware vCenter Converter Standalone 5.5.2 provides an update to OpenSSL library, which addresses multiple security issues. 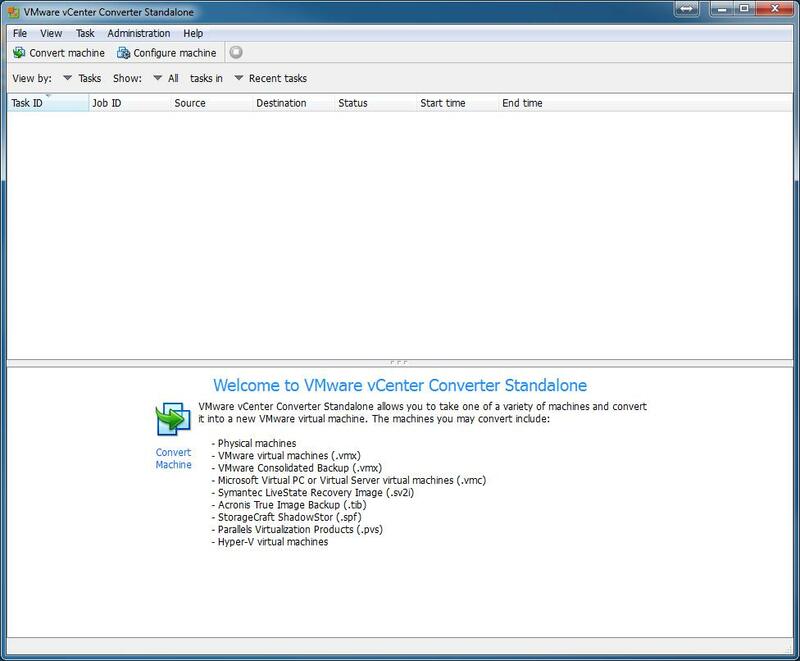 While I would recommend and use VMware vCenter Converter Standalone 5.5.2, there are other commercial products that do exist, and I have used. 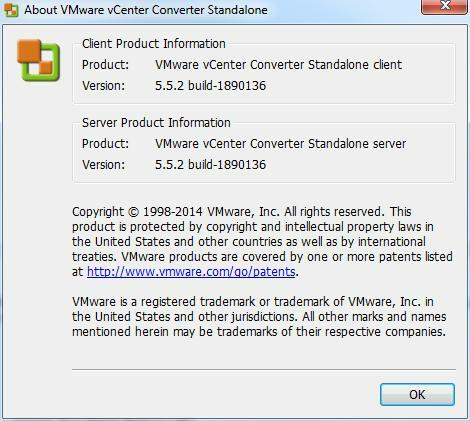 If the operating system is Windows 2003, Windows 2000 or Windows NT 4.0, select and earlier version of VMware vCenter Converter Standalone version 3.0.3 or 4.0, support for early operating systems has been removed now from v5.5.2. Please download VMware vCenter Converter Standalone 5.0.
if you have recently upgraded to vSphere vCenter Server 5.5, and are looking for the Convert/Import vCenter plugin which existed with 4.x, it's now longer available, and has been removed, and you will need to use VMware vCenter Converter Standalone 5.5.2 for your conversions. Some Videos I've developed for Experts Exchange members to show the VMware vCenter Converter process.